London - Shell-shocked after their capitulation against Sevilla and having been thrashed in two big Premier League clashes this season, Liverpool have their backs to the wall ahead of Chelsea's visit on Saturday. Liverpool's horizons were clear in the 30th minute of Tuesday's game at Sevilla in the Champions League, with Jurgen Klopp's side 3-0 up and cruising towards the last 16. But Sevilla staged a second-half fightback, capped by Guido Pizarro's 93rd-minute equaliser, to leave Liverpool's knockout-phase hopes in the balance and blacken the mood around their Melwood training base. "It feels like we lost the game," Klopp conceded after the 3-3 draw. "That's our business, that's our life. We have to start preparing for Chelsea pretty much immediately. "We cannot change it. Everybody wants to change it, but it's not possible." 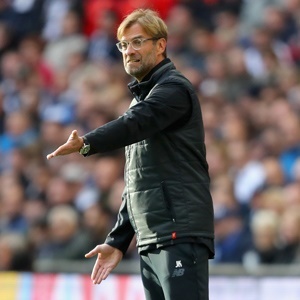 Sharpening Liverpool's sense of frustration will be the knowledge that prior to their unravelling at Ramon Sanchez Pizjuan, Klopp's men appeared to have turned a corner. They have won their last three league games - scoring 10 goals and conceding only one - and had taken command of their Champions League group with a 3-0 win over Maribor. Events in Seville, however, revealed the soft underbelly previously glimpsed in September's 5-0 drubbing at Manchester City and last month's 4-1 loss at Tottenham Hotspur remains an issue. Liverpool performed brilliantly against their main rivals last season, going 10 games unbeaten against the other members of the top six. Now they look a far more vulnerable side and having fallen 12 points off the relentless pace set by leaders City, they will drop six points below third-place Chelsea if they lose at Anfield on Saturday. Chelsea manager Antonio Conte has railed against the unequal preparation time afforded to the two teams, with Chelsea having not returned from their trip to Baku until the early hours of Thursday. Yet with his team having put four unanswered goals past first West Bromwich Albion and then Qarabag in their last two games, Chelsea look in much ruder health than their next opponents. Conte has played down the significance of Liverpool's derailment in Seville, arguing the game's outcome was not an accurate reflection of how Klopp's team had played. "I watched the game and I think Liverpool played a really good first half with great intensity and they scored three goals," said Conte, whose side trail City by nine points. "Football is strange. What happened in the second half is very difficult to explain. "Liverpool also in the second half had opportunities to score other goals. In the second half they were also unlucky." Conte has admitted to being concerned about how the 8 000km round trip to Azerbaijan - and quicker turnaround - will affect his players. Chelsea also had 24 hours' less recovery time when they tackled City in late September, three days after a hard-fought 2-1 win away to Atletico Madrid, and were thoroughly second-best in a 1-0 defeat. Seeking to mitigate the effects of fatigue, Conte rested Alvaro Morata against Qarabag, sending his top scorer on for only the last 25 minutes of a game that sent Chelsea into the last 16. Conte could obtain an extra pair of fresh legs if wing-back Victor Moses - who spent the 2013-14 season on loan at Liverpool - overcomes the hamstring injury that has kept him out for over a month. Klopp has said there is a "big chance" centre-back Joel Matip will return for Liverpool after missing two games with a thigh strain. Simon Mignolet will return in goal, while Klopp must decide whether to persevere with Alberto Moreno at left-back after the Spaniard's second-half horror show against his former club Sevilla.